1. LED lights and solar powered light strands. If you haven’t switched over to LED holiday lights, they are now readily available and prices have come down. They use 1/10th the energy of regular mini lights and are just as bright. Take the ouch out of your holiday electric bill and switch to LED. Small lights go from $5.99 for basic strands to around $26 for big impact ones. 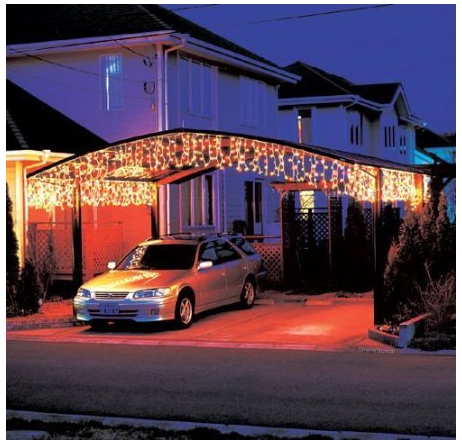 A blah carport could become a cozy manger for your vehicle (see below and turn on your creativity)! For even more savings get solar-powered lights – eliminating your entire electrical requirement for holiday décor. (Note, the solar receiver takes AA batteries). 2. Your gift can be blowing in the wind. For gift givers who are willing to spend a little more, it’s now possible to give the gift of wind energy with kits that can attach to homes. With a kit you can now mount a windmill on the peak of any home or business and get 1000 to 5000 watt capacity. There are many companies offering this online, however, we are not endorsing or representing them. We do think it’s a cool idea though. We found one company selling horizontal axis wind turbine kits in the $16,000 range. 3. Trade cut flowers for a flowering plant. 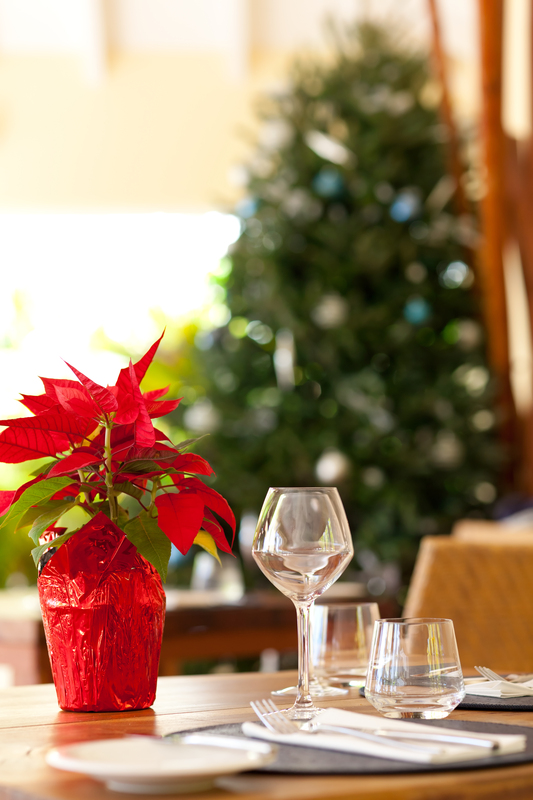 We’ve mentioned live replantable Christmas trees before in the annual green holiday list, but never addressed flowers. Many people place cut flower bouquets on tables or bring them as hostess gifts. A greener way to go is to bring a flowering plant that can be replanted or kept inside as a house plant (and it’s a bonus if you’re into feng shui). Your local garden center will likely have specials on winter blooming plants and they can dress up plant pots with paper to make them festive (or you can add your own flair). 4. Go for a classic reusable package vs paper boxes. There are many ways to package smaller gifts and baked goods that can reduce the amount of printed paper you use and add an element of style. 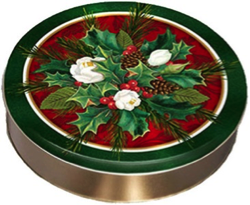 A great one is the classic holiday tin, which is perfect for your baked goods but can really be used for any gift. These add fun to the presentation and are a gift in themselves. Some are even collectable. Tins are often available second hand at thrift shops, and are available new in stores and online. 5. Give reclaimed material gifts a second look. It used to be that you’d find some greeting cards or cutting boards made from “reclaimed” materials like paper, glass and metal. This has greatly expanded. 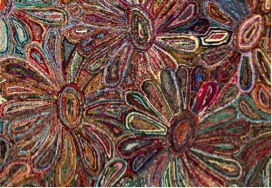 Reclaimed materials are now used in everything from kitchen items, to rugs, to jewelry, even chairs. We loved the recycled gift collection at uncommongoods enough to put their link into our newsletter without them even asking. Photo from uncommongoods.com.